10-week Soft Landings Program helps companies understand U.S. market. The Georgia Institute of Technology’s Soft Landings Program is now accepting applications for the spring cohort, which helps foreign companies that want to establish or increase their business operations in Georgia better understand the U.S. economy. The Soft Landings Program at Georgia Tech, a 10-week, webinar-based training and education initiative, helps companies quickly and efficiently assess multiple key factors to assist them in deciding if expansion in the U.S. makes sense, and if so, how. The program is offered in the spring and the fall in an online, cohort-based model, but participants come to Atlanta for one week of intensive training and immersion. “Georgia is very welcoming to business and foreign investment, but we found there wasn’t a blueprint for companies from other countries that shows them all the things they need to consider in making that decision,” said Lynne Henkiel, director of Innovation Ecosystems. An offering of Tech’s Enterprise Innovation Institute, Innovation Ecosystems works with communities and organizations to analyze and apply innovation-based ideas that drive economic development. “Our Soft Landings Program is that guide, it leverages our education, government, and business relationships, and taps into our economic development resources, for companies to make an informed decision about expansion into the United States,” Henkiel said. Training in Lean Startup Methodology/Customer Validation techniques. Access to a network of experts in various fields, from accounting to law. TheSoft Landings structure and training were invaluable for 2018 participant Matthew Tebeau, chief operating officer of Proteon Pharmaceuticals. The Lodz, Poland-based company is focused on eliminating the unnecessary use of antibiotics in livestock farming — but improve farm performance and sustainability — via the introduction of a natural class of anti-bacterials. “You spend time in the webinar portion preparing and working at your own pace with your team, according to the program. When you come here for the final week, you’re extremely well prepared to take advantage of the opportunities of meeting face to face with the business community,” he said. The Soft Landings initiative follows the International Business Innovation Association’s (InBIA) 2017 designation of Georgia Tech as a site. The designation recognizes entrepreneurship centers that excel in providing international companies with various services to ensure a smooth landing in the United States. With the Soft Landings program, Georgia Tech is working with its state and local economic development partners: the Georgia Department of Economic Development, the Metro Atlanta Chamber, Invest Atlanta, and the city of Atlanta’s Office of International Affairs. Innovation Ecosystems is a program of the Enterprise Innovation Institute, the Georgia Institute of Technology’s economic development arm. Utilizing lean innovation ecosystems building, technology extension, and development programming, Innovation Ecosystems collaborates with communities and organizations domestically and abroad to help them create entrepreneurship and business incubation frameworks to promote sustainable economic development and growth. For more information, visit grow.gatech.edu. 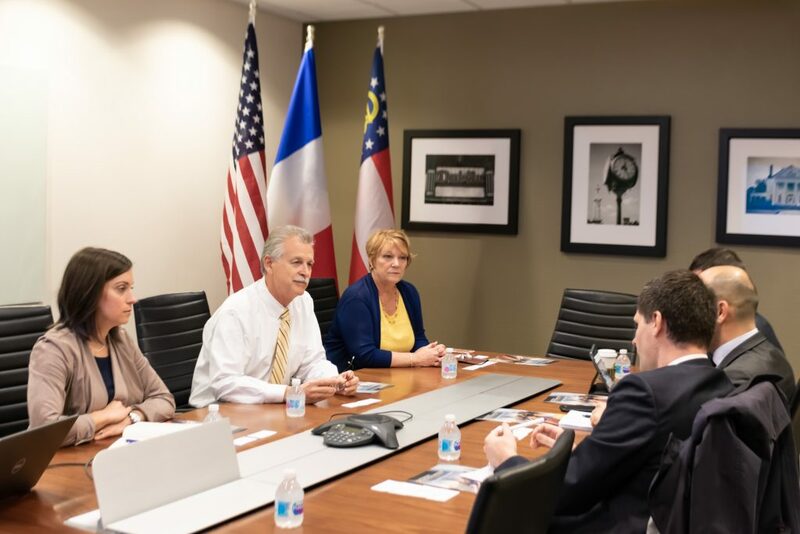 The Enterprise Innovation Institute (EI2) recently hosted three representatives from the Embassy of France who visited the Georgia Institute of Technology campus as part of a multi-state tour to better understand how universities interconnect with the private sector to support workforce and economic development. EI2, comprised of a dozen programs, is Georgia Tech’s economic development arm. Through those programs, it supports commercialization of campus research and technology entrepreneurs, as well as industry and communities through business development extension services. 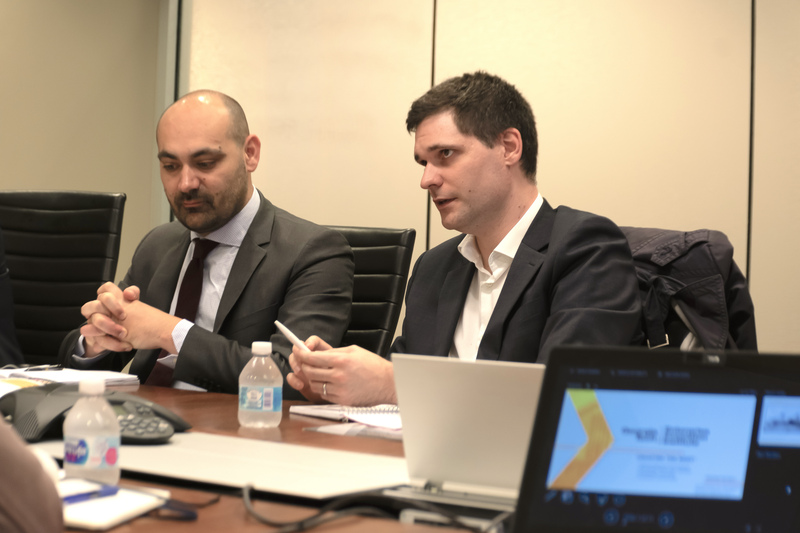 “It’s very important for us to understand the common challenges between France and the United states,” Christophe Bonneau, deputy economic counselor for business affairs at the Washington, D.C.-based embassy, said during the March 15 visit. Georgia and France trade more than $3 billion in goods and services a year. That includes more than $592 million in Georgia exports to France each year, according to Georgia Department of Economic Development figures. Georgia Tech and France have deep ties. Georgia Tech-Lorraine was established in 1990 in the eastern French city of Metz. The year-round campus — home to 600 each year — offers programs that create synergies between academics, research, and innovation. And since 2010, the Consulate General of France in Atlanta and Georgia Tech have collaborated together to present a multidisciplinary series of events each fall centered on innovation and designed to foster French-American cooperation and synergetic exchange in the Southeast. The Institute also has strong ties with the southern French city of Toulouse with initiatives in aerospace and bioengineering, and the annual Startup Exchange, where startups from Atlanta go to Toulouse and vice versa to better understand international opportunities. The French delegates learned how different EI2programs, such as the Economic Development Lab (EDL), work with communities to drive innovation at the local and regional level. 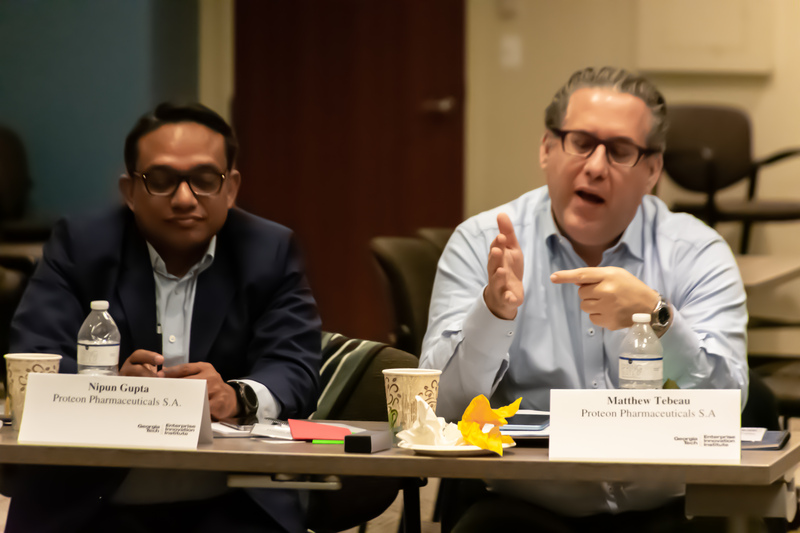 For example, they learned about EDL’s Soft Landings Program, which helps foreign companies seeking to establish themselves in the United States understand how to do that and the different factors they need to consider before making that decision. They also gained insight into other efforts, including VentureLab and I-Corps South, which help foster commercialization of research beyond campus labs at Georgia Tech and universities across the Southeast, respectively. 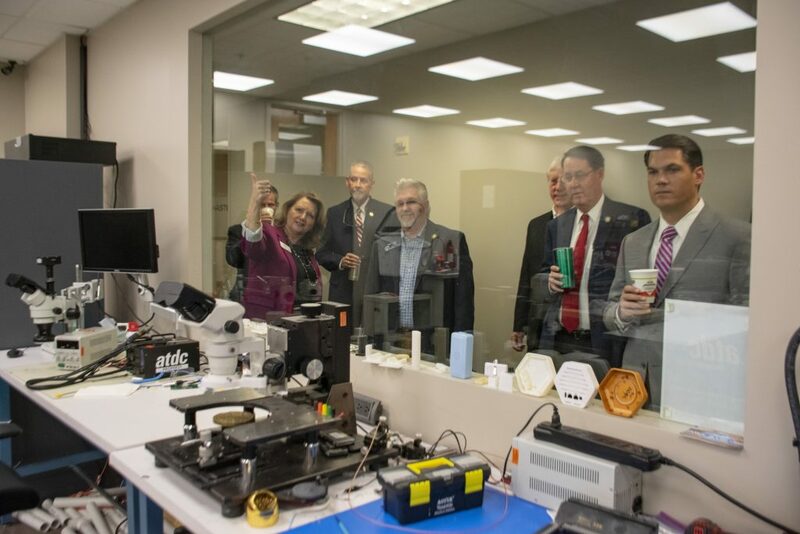 And, as part of their visit, they toured the Institute’s Advanced Technology Development Center (ATDC) to better understand how the state supports technology entrepreneurs who want to create scalable and viable companies in Georgia. Bonneau and his team were particularly interested in Georgia because of the state’s urban and rural makeup. 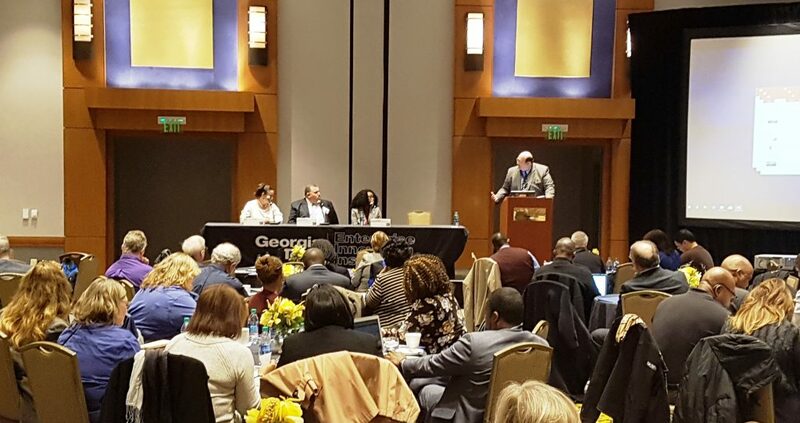 “There is the urban-rural divide that we are facing to a certain extent in France and it’s interesting to see how Atlanta is driving not only wealth, but innovation training, better skills for people, and what’s important is how it connects to the rest of Georgia and the rest of the southeastern United States,” Bonneau said. The Georgia Institute of Technology’s Advanced Technology Development Center (ATDC) recently hosted U.S. Rep. French Hill, who came to campus as part of a multi-city tour to learn about the incubator’s innovation efforts in financial technology. Hill, an Arkansas Republican whose district includes the Little Rock area, spent more than 20 years in commercial and investment banking. He founded the Little, Rock-based Delta Trust & Banking Corp. where he served as chairman, and CEO. A member of the House Financial Services Committee, Hill, who served under President George H.W. Bush as Deputy Assistant Secretary of the Treasury for Corporate Finance, is a leading voice in the financial services industry. “We’re going to create a new task force on FinTech in the House Financial Services Committee and are taking ideas from around the country to help drive legislative policy,” Hill said during his Feb. 16 visit where he met ATDC Director John Avery and founders of two of the incubator’s FinTech companies. As part of his work on that task force, Hill wanted to see the innovation ecosystem that has been built around FinTech, ATDC’s role in collaborating with related business and industry to support it, and how the incubator works with companies in that sector to help them grow and succeed. Georgia was an important stop for the Congressman’s fact-finding tour as 70 percent of all credit, debit, and gift card swipes — more than 118 billion transactions and $2 trillion in purchase volume each year — are processed through Georgia companies. More than 60 percent of all payment processing companies are either based in or have operations in the state. ATDC’s FinTech program, launched in 2015, has 35 early-stage startups in its portfolio. 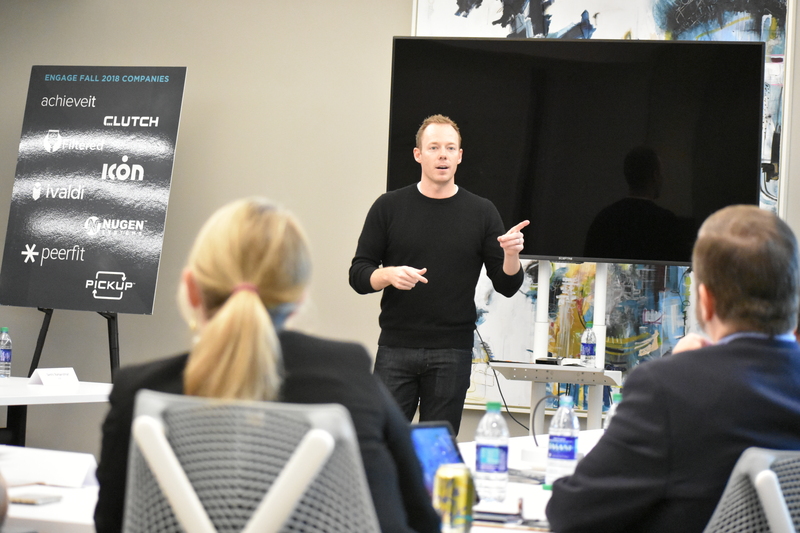 Since inception, companies and recent graduates of ATDC’s FinTech program have raised more than $65 million in angel and institutional venture capital. That success and impact factored in Hill’s visit as the Congressman’s tour also is designed to get input from FinTech companies and incubators regarding issues that can be a drag on FinTech innovation. 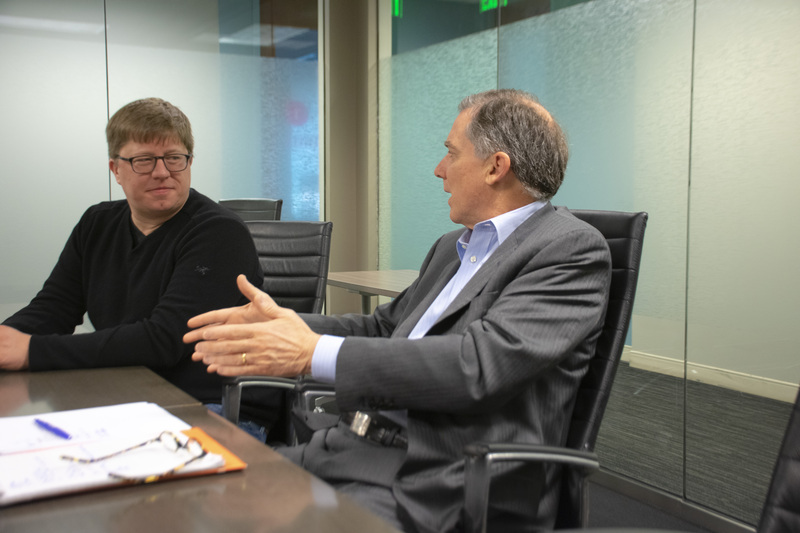 Entrepreneurs, Avery said, are concerned with regulations at the federal level, which sometimes conflict with one another and the uncertainty that creates for fledgling startups. What’s more, state statutes can vary, leading to additional challenges for growth. “This is what I want to use this FinTech task force for, to work through some of these things,” Hill said, adding he wants to build a priorities list that the FinTech companies want Congress to focus on as well as emerging trends and innovations that leaders should be aware of in the industry. Along with that, Hill is seeking input from FinTech leaders about specific issues that need further analysis and study via hearings and how Atlanta could play a role in that. Wanting to tap into the Georgia Institute of Technology’s expertise in innovation and commercialization processes and methodology, Science Foundation Ireland (SFI) recently hosted two lead managers of Tech’s I-Corps program lead managers in Dublin to train a group of research teams developing technologies with a focus on societal impact. SFI invited Keith McGreggor and Melissa Heffner to lead the Jan. 29 workshop series as part of the organization’s Future Innovator Prize project, which is aimed at supporting the development of disruptive ideas and technologies to address societal challenges. The 12 teams were focused on various projects ranging from biomedical devices to diagnostics and all had ideas for a product that could address a particular challenge or process that could be improved. 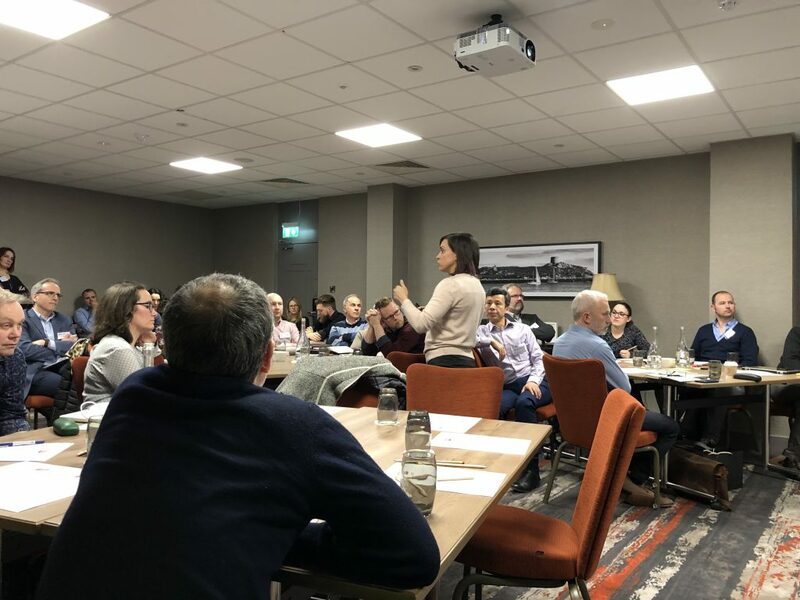 “Our work in Ireland was focused on preparing these team to have the conversations and interviews with potential customers to determine if the problem they feel exists actually does and how they can solve that challenge,” Heffner said. Heffner worked on a similar project with the Centers for Disease Control and Prevention in 2016. 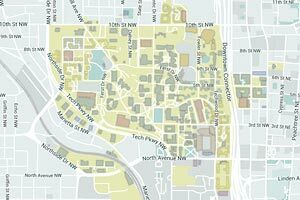 Georgia Tech — through its VentureLab incubator program — is an I-Corps node and teaches entrepreneurship, and research and innovation methodologies. Because of its long experience with forming companies from university research, Georgia Tech — through its VentureLab incubator — was selected in 2012 to be among the first institutions to become “nodes” teaching the I-Corps curriculum. VentureLab is Tech’s technology commercialization incubator that primarily serves Tech faculty, staff, and students who seek to launch startup companies from the technology innovations they have developed. 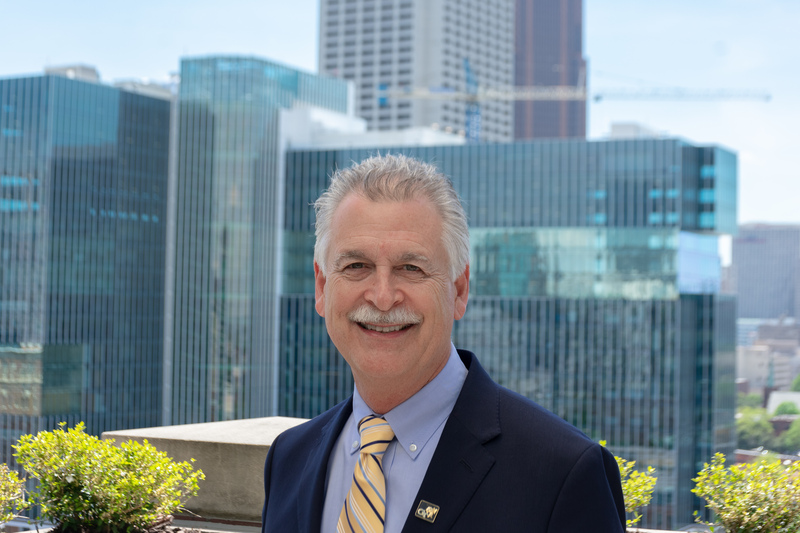 McGreggor serves as VentureLab’s director and is executive director of I-Corps South, whichincludes Tech, the University of Alabama in Tuscaloosa, the University of Alabama at Birmingham, and the University of Tennessee, Knoxville, Haslam College of Business. 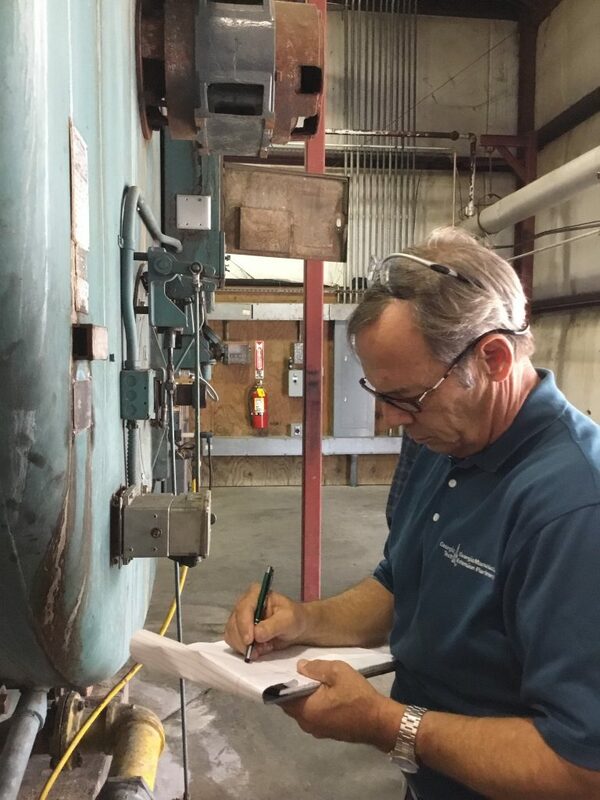 In the last several years, SFI has sent a few teams to Tech for I-Corps training and Tech has led similar sessions for the Centers for Disease Control. The government of Mexico in 2018, through its National Council on Science and Technology (CONACYT), sent more than a dozen university-based instructors to Tech to learn the fundamentals of entrepreneurship and how to build and maintain such programs at their schools. The effort in Ireland underscores the Institute’s international reputation for commercialization expertise and supports its efforts to further its reach in Europe, McGreggor said. Are you a graduate student attending a University System of Georgia school and interested in pursuing your own research opportunity that links science, technology, and innovation to economic development? 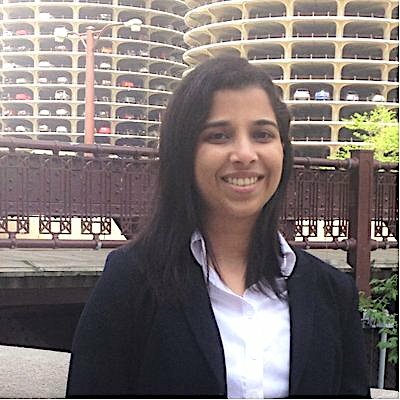 Supraja Sudharsan, a 2018 Georgia Innovative Economic Development Intern, is a doctoral candidate studying comparative urban governance in the Sam Nunn School of International Affairs. The Science, Technology, and Innovation Policy (STIP) program at Georgia Tech is now accepting applications for the 2019 Georgia Innovative Economic Development Internship Program. (For details and requirements, apply here: stip.gatech.edu/apply/). The highly competitive, 10-week, paid internship is designed to allow graduate students to further develop and pursue research in an innovative economic development project. At the end of the internship period, interns, who will receive a $6,000 stipend, will have an opportunity to present their project findings to economic development and innovation groups. Applications will be accepted through Feb. 28, 2019 and the internship is open to any graduate student who has completed the first year of a two-year master’s program or enrolled in a doctoral program at a public university in the University System of Georgia. Those accepted into the program will be notified by the end of March 2019. STIP is a globally recognized program that conducts research-based policy analyses and reports of innovation policy, science, and technology for organizations and governments domestically and internationally. “Students can delve deeply into their research and apply that analysis and study to real-world challenges,” said Jan Youtie, STIP program director. Mirit Friedman, a 2018 Georgia Innovative Economic Development Intern, is pursuing a master’s degree in city and regional planning at Georgia Tech’s School of City & Regional Planning. Former interns, such as Mirit Friedman, a graduate student pursuing a master’s degree in city and regional planning at Georgia Tech’s School of City & Regional Planning, say the experience is a rewarding one. 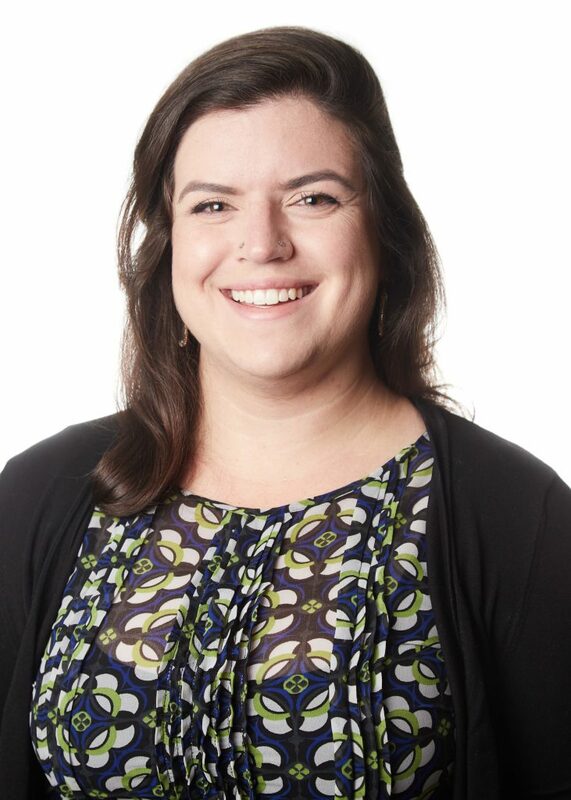 Her research explored ways in which the Atlanta Community Food Bank could activate its vast partnership network in new ways to better support its clients’ economic mobility. “I was able to explore my research interests under the guidance of economic development experts and restricting the research to the summer period forced me to focus on an initial research question I could test and explore in the short period,” Friedman said, adding the program’s pace and structure was invaluable. Supraja Sudharsan, a doctoral candidate studying comparative urban governance in Tech’s Sam Nunn School of International Affairs, echoed Friedman’s sentiments. “I evaluated the smart city projects that have been piloted, underway or completed in three cities in Atlanta, Austin, and Pittsburgh,” she said. “By comparatively studying their plans, initiatives, associated partnerships, and the organizational process involved in their development and implementation, the study served to look beyond the hype of smart cities to understand how cities develop and implement smart city projects. The Science, Technology, and Innovation Policy program at Georgia Tech is an internationallyrecognized offering of the Georgia Institute of Technology that offers in-depth and critical research-based analyses of innovation policy, science, and technology to organizations and governments around the world. It is part of the Economic Development Lab at the Enterprise Innovation Institute (EI2), Tech’s economic development arm. Along with EI2, it is supported by the Georgia Tech School of Public Policy. Visit stip.gatech.edu to learn more. The Georgia Tech Procurement Assistance Center (GTPAC) regularly hosts events that bring together government buyers with Georgia-based businesses. On Jan. 14, 2019, GTPAC hosted a Defense Innovation Conference attended by 220 businesses, Defense Department officials, and major prime contractors. February marks an important milestone for the Georgia Tech Procurement Assistance Center (GTPAC) as it enters its 33rd year of continuous operation in providing assistance to Georgia businesses that are pursuing government contracts. The Georgia Tech Procurement Assistance Center (GTPAC) helps Georgia enterprises identify, compete for, and win government contracts. Funded in part through a cooperative agreement with the U.S. Department of Defense, GTPAC’s services are available at no cost to any Georgia businesses that have an interest and potential to perform work — as a prime contractor or a subcontractor — for federal, state, or local government agencies. GTPAC is a program of the Enterprise Innovation Institute, the Georgia Institute of Technology’s economic development arm. To learn more, visit gtpac.org. With health care a major focus at the state and national levels, the Georgia Institute of Technology welcomed Georgia Lt. Gov. Geoff Duncan and other state legislative leaders to campus for a health summit focused on how technology drives innovation, leads to better patient outcomes, and reduces costs. Duncan, joined by Georgia state Sens. Dean Burke, Greg Kirk, and Ben Watson, toured the Institute’s Advanced Technology Development Center (ATDC) to learn more about the incubator’s efforts to support health technology (HealthTech) innovation and meet startup leaders in its portfolio. Burke spearheaded the visit from the state government delegation. A program of the Enterprise Innovation Institute, Tech’s economic development arm, ATDC is the state of Georgia’s technology startup incubator. Created in 1980, ATDC has helped its companies generate more than $12 billion in revenue and raise in excess of $3 billion in investment capital. The delegation received an overview of ATDC’s focused efforts to support HealthTech innovation and startups, including the July 2018 launch of the ATDC HealthTech Program. 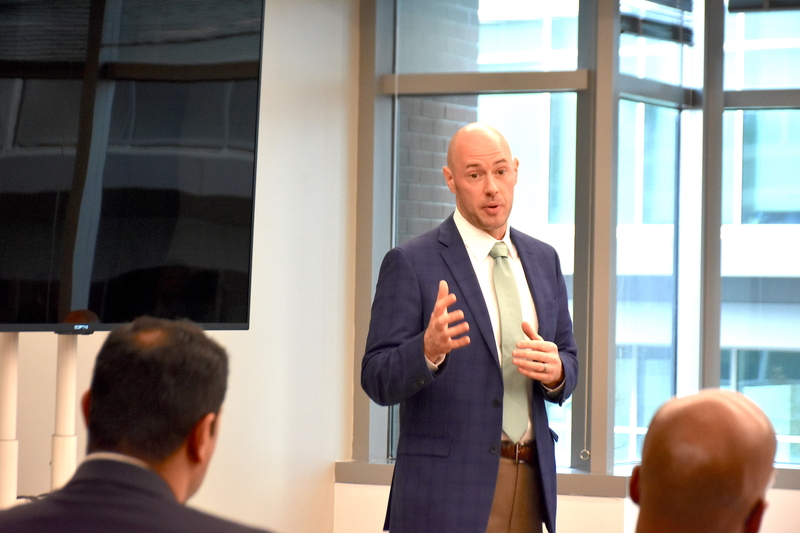 Supported with a financial gift from NASCO, the ATDC HealthTech Program is focused on helping entrepreneurs launch viable companies in that sector, Kirk Barnes, ATDC’s HealthTech catalyst explained to the delegation. Separately, ATDC entered into a collaborative partnership with Navicent Health’s Center for Disruption & Innovation (CfDI) to support the development of new technologies, treatments, and care created by healthcare technology-oriented companies based in the state. The goal: to improve the health and lives of patients in central and south Georgia. It’s a goal that resonated with Duncan. “It’s encouraging to see the system built around these ideas and to see these ideas commercialized,” the lieutenant governor said. “It’s not just about cutting costs, it’s about improving service and quality of care. Since its launch, the ATDC HealthTech Program’s portfolio of companies has grown to 48 and includes a host of technologies ranging from digital health and medical devices to drug discovery tools and healthcare robotics. One of those companies, Rimidi Inc., a provider of software and clinical analytics for chronic disease management,raised more than $6.5 millionin its Series A-1 financing, which included an investment from Eli Lilly and Co.
Tee Faircloth, who helped spearhead the summit, is founder of Coordinated Care Inc. (CCI), an ATDC HealthTech company. CCI, one of the companies the delegation met, works with urban and rural hospitals to move patients back to their local hospitals for rehabilitation. Faircloth said such summits give state leaders valuable insight into how public support of programs such as ATDC and public-private partnerships such as the one with NASCO work. “With the incoming administration’s focus on rural healthcare, it’s great to see them embrace innovation as an agent of change so early on. This summit continues the dialogue of how we, as technology companies focused on bringing solutions and innovation to healthcare, can work with state and local leaders,” Faircloth said. The Georgia Institute of Technology’s Engage Ventures has launched a roundtable series designed to get a deeper understanding and more insight into its corporate partners’ business challenges and connect them with potential solutions in its portfolio, as well as the Tech’s resources and capabilities. The Engage Expert Council — comprised of corporate thought leaders and C suite-level information, cybersecurity, and information technology executives — aims to remove barriers by getting critical decision makers together to share best practices, identify emerging trends, and dissect business challenges. 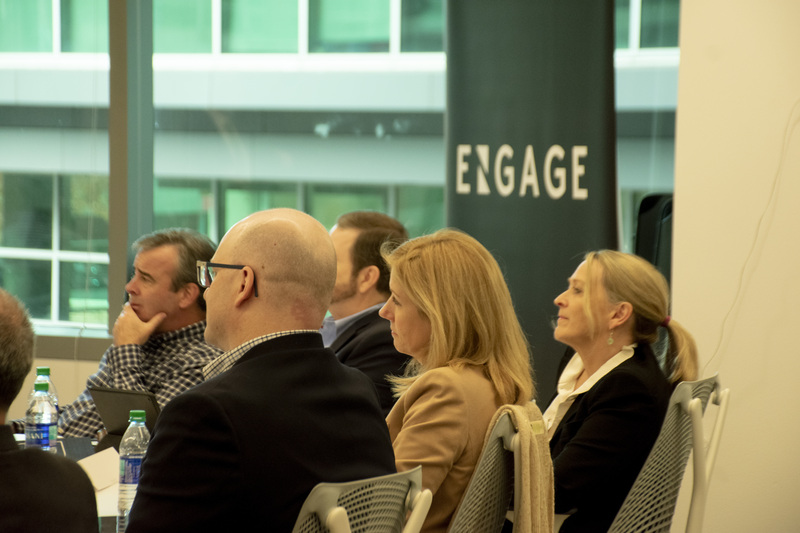 Engage, launched in 2017, is a mentorship-driven accelerator and early-stage venture fund that targets high-tech startups from across the United States. Its core focus is on mentoring and creating go-to-market frameworks for its portfolio companies. The $18 million Engage Ventures Fund I is supported by Engage’s corporate partners, which contributed $1.5 million each. The Expert Council is comprised of and open to executives of Engage’s 12 partners. The first Engage Expert Council meeting was held Dec. 3 with a focus on cybersecurity. It featured Michael Farrell, co-executive director of Georgia Tech’s Institute for Information Security & Privacy (IISP) as discussion moderator. Georgia Tech is home to 11 Interdisciplinary Research Institutes (IRIs) which are charged with bringing together a mix of researchers — spanning units all across campus – around one core research area. These IRIs also connect a large portfolio of basic and applied research programs, support world-class research facilities and laboratories, engage Georgia Tech students, and collaborate with government and industry research partners. “The Institute for Information Security & Privacy is one of the largest and most unique research collectives in the nation for cybersecurity,” Farrell said. “Georgia Tech is world class in its depth and breadth in cybersecurity, and we apply these talents to society’s toughest challenges. IISP’s programs involve both hardware and software, span raw silicon to user interfaces, go from internationally published papers to classified programs, range in size from $300,000 to $30 million, and address aspects from information theory to user privacy to acquisition to international policy implications. Farrell led a discussion on innovation and new technologies in the industry and how those changes could affect the business community. Brendan Saltaformaggio, an assistant professor in Tech’s School of Electrical and Computer Engineering and director of the Cyber Forensics Innovation (CyFI) Laboratory. Swire addressed how the European Union’s General Date Protection Regulation has created major challenges for global organizations, with new enforcement actions. Chava discussed cyberattacks, firm responses, and stock market reaction to these attacks. Saltaformaggio explored emerging research in computer systems security and cyber forensics. “The caliber of what Tech can provide to the corporate sector, in addition to our portfolio companies’ offerings, is what is driving this effort,” Daley said. Engage plans nine more such council meetings in the coming year to focus on various topics including sustainability, robotics, and supply chain management. Its fund partners include AT&T, Chick-fil-A, Cox Enterprises, Delta Air Lines, Georgia-Pacific, Georgia Power Foundation, Goldman Sachs Group, Intercontinental Exchange (ICE), Invesco Ltd., Tech Square Ventures, The Home Depot, and UPS. Engage is part of the Enterprise Innovation Institute (EI2), Georgia Tech’s economic development arm.